* Build back door for shell. * Build lift Mechanism and canvas sides. 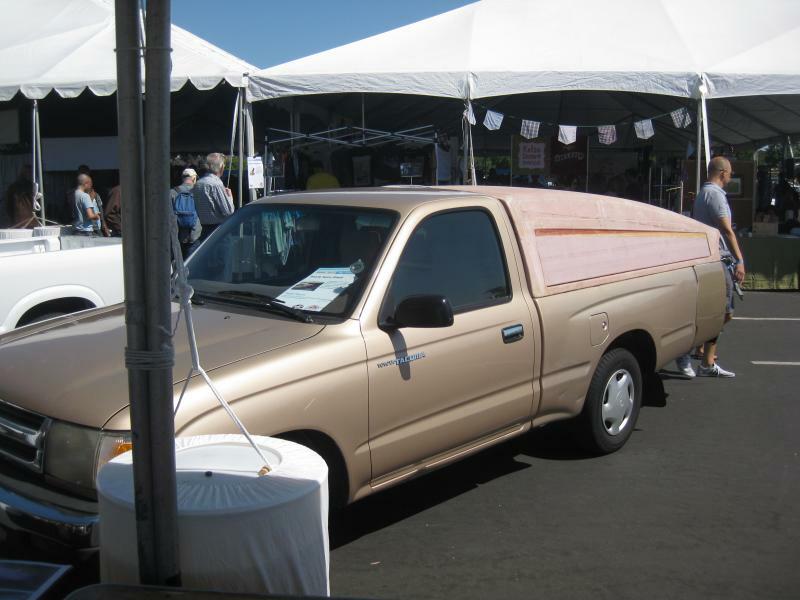 I Had a shell on my truck a few years ago, but it cost me ~4mpg, per the scanguage. I'd really like to have something to sleep under on trips and stuff, so I'm working up designs for a pop-top aero camper shell. Lightweight and Aerodynamic - Improving my MPG rather than hurting it! 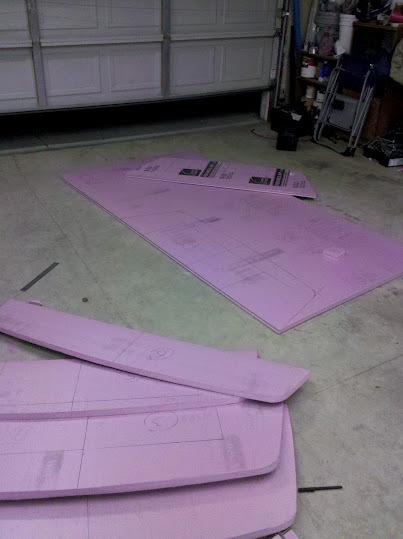 I'm planning on using fiberglass over 1/2" pink foam construction. 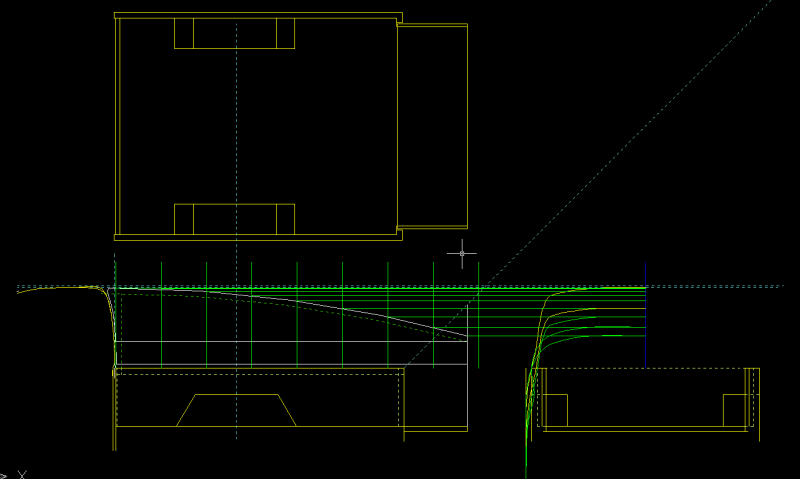 In the CAD drawing below, I'm working on the cross-sections that I'll lay the foam over to get the shape right. I'm using a single radius curve for the shape right now. Given the non-agressive shape I'm using, do I need to think about the complex curves used in the aero template? If you use chrome browser and google docs, you can install the "AutoCAD WS" addon and view/edit the drawing in the browser. Pretty cool stuff. 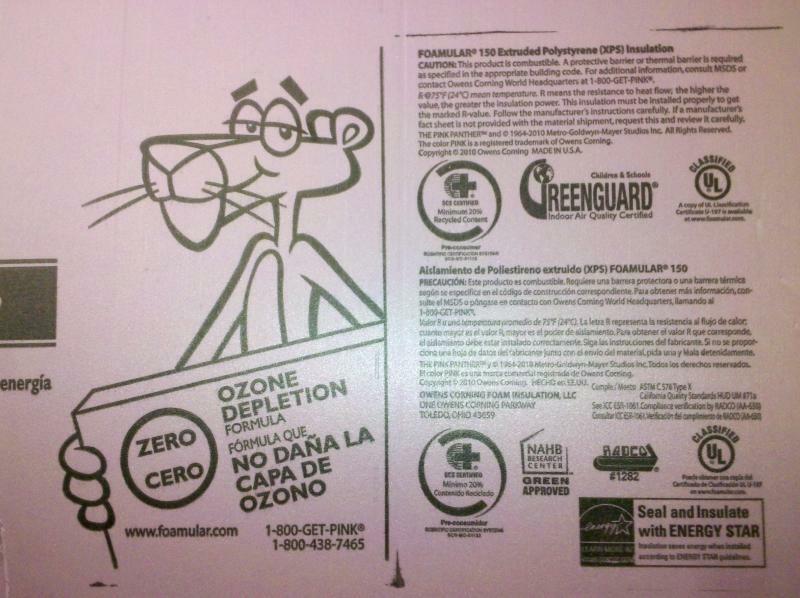 2) Did you know that pink foam (and blue foam, both XPS (expanded polystyrene)) has a high global warming potential? It's foamed with HFC or HCFC, which have global warming effects thousands of times greater than CO2. Polyisocyanurate is a much better alternative. I can't post a link, but you can find an article by googling "Calculating the Global Warming Impact of Insulation"
Last edited by chrs; 09-05-2012 at 11:08 PM.. Reason: I was wrong! Why not build a "top" and a "bottom? The bottom piece would start at the top of the frame rails, and extend to (and follow) the curvature from the end of the cab back to the tail gate. The top piece would fit over the bottom piece and, once inside, could be extended up; perhaps on actuators. Think of a box (with no top), fitting beneath a box (with no bottom). 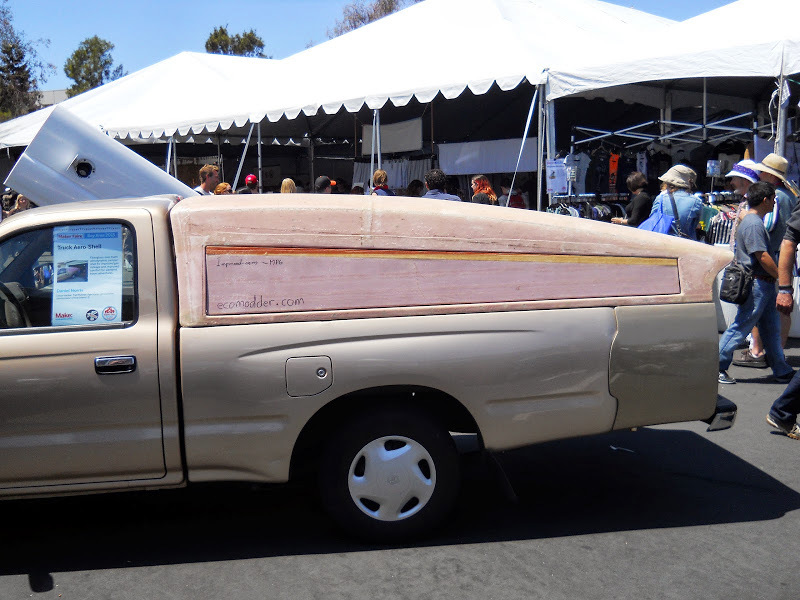 This would allow the top to be in the lowered position while driving, and in the upward extended position while camping. Foam is hard to get into curves but is cheep and works well. @ cris - Maybe pop-top is the wrong way to put it... it's more like pop-shell. I'm putting a lift on each corner, similarly to how the pop-up campers work. 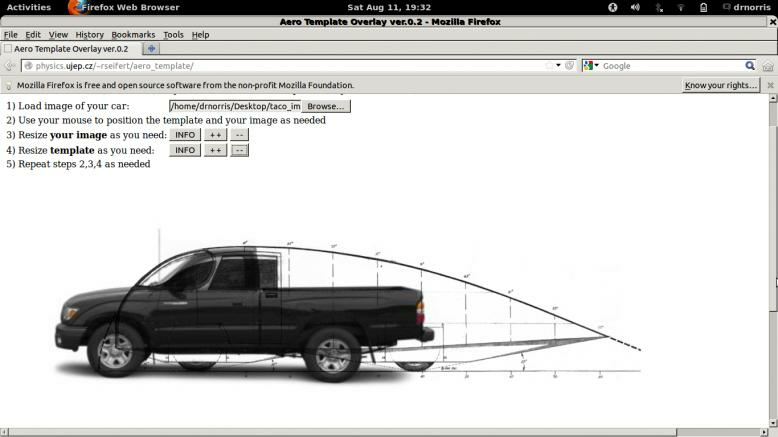 They'll raise the entire camper shell off of the bed of the truck by 2 or 3 ft. There will be a vinyl/nylon skirt between the shell and bed to fill the gap. 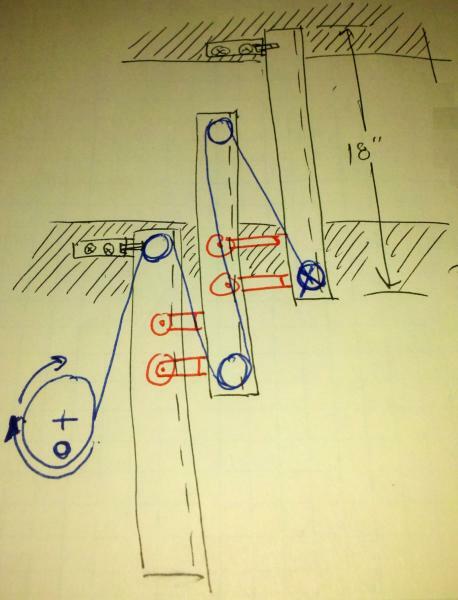 Unless I find a more economical way to do it, the lifts will probably be built out of a couple segments of strut channel and bolted together using strut channel trolleys. Unfortunately, I this might be the most expensive part of the proejct, buying these roller trollies... Maybe I can get away w/ using loosely bolted claps to connect each segment and deal w/ the friction... I have a pair of trolleys on order, anyway, to see how they work/fit. I'm not sure exactly, yet, how I'm going to build a door on the back that fills the gap and works properly when the shell is lowered or raised... might have some ideas though. @Beau - I want to keep the shell all one piece just for simplicity. The shell and bed will meet on one plane, so I only have to cut square pieces of fabric to fit in the middle. I like the builds that a couple folks have done on here where a top section of the shell hinges up off of the cab, but I want more head-room than that. 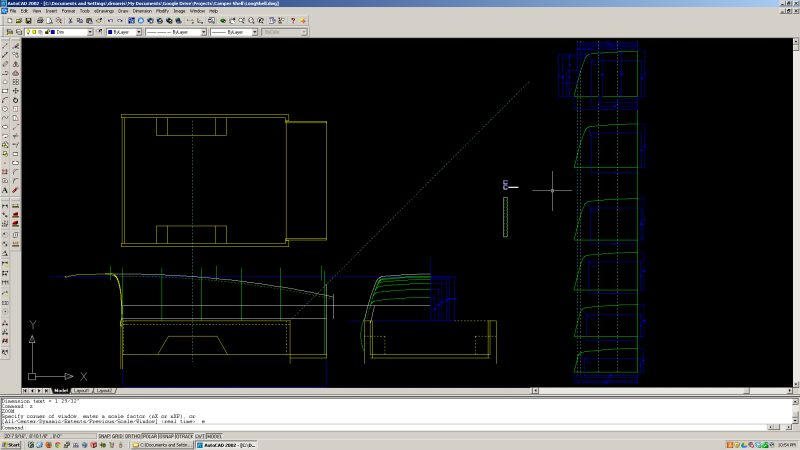 I marked and cut a template of the cab profile and copied that into CAD. 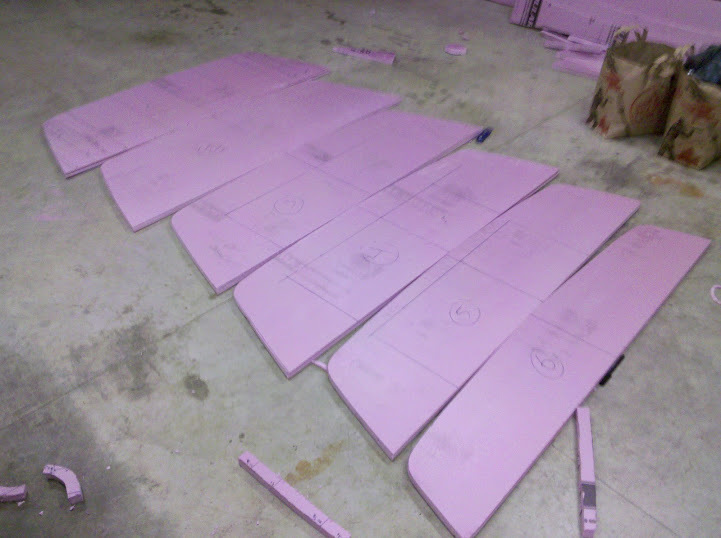 That was used to create profiles of each x-section that I'll cut from foam to lay the outer layer over (hopefully) before fiberglassing. Great project. The aeroshell/ popup camper combo is really cool. I will follow this for sure. 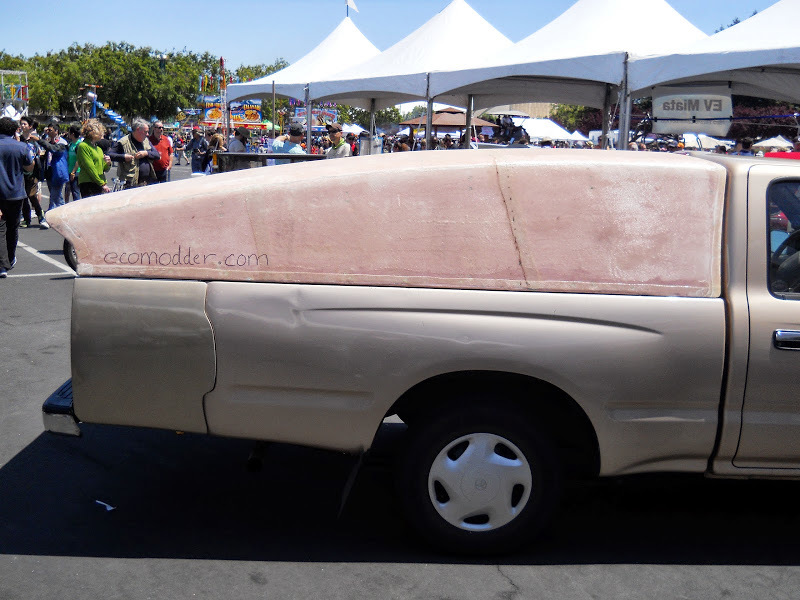 I am working on a fiberglass foam camper as well but it will be non pop-up and nowhere nearly as aero. Pics in album if your interested. Knowing better what you meant, I think pop-top is perfectly appropriate--sorry about that. That will be great. Are you going to have ropes or cables from all four corners wrapped around the same winch so the corners all go up together? Toothbrush, you're my inspiration for using this pink foam stuff!! Your camper looks awesome. 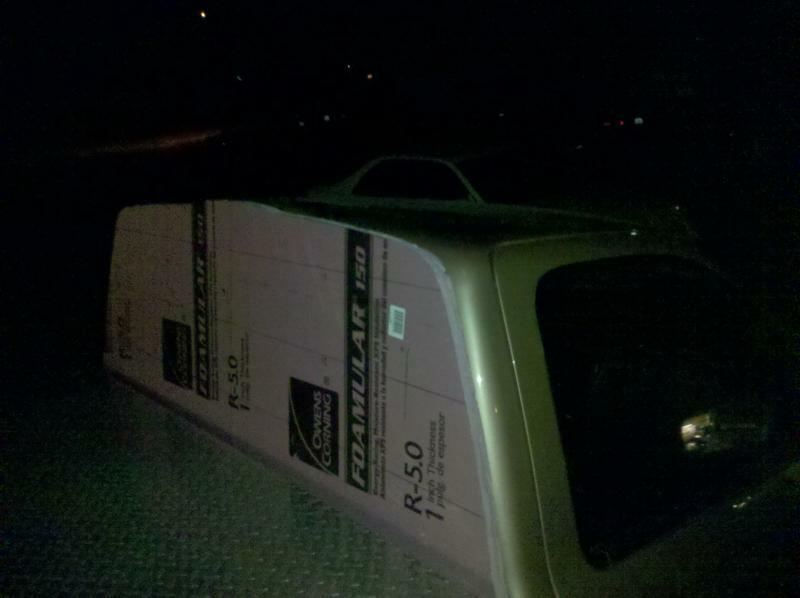 Have you started laying fiberglass over it yet? Good idea on the drawer slides. I'm going to look at some of those at home depot next time I make it over there. I wonder if I might be able to get some eol server rails from work that would do the trick. They're a lot longer than I probably want... I received a set of strut channel trolleys yesterday so will see how well they fit/slide later, too. Chrs, yah, the plan is to have a wench on one side that I can crank and lift the whole thing straight up. My strategy was to carefully measure and cut the largest x-section first. Once I had that, I used it to trace the sides of the remainder. Then I measured the needed height of the remainder and shifted the big one down and traced it's top. I used a round piece of foam I cut to radius the side<->top corners. When I lined them up, I realized, unfortunately, that I had measured two of the panels incorrectly and will have to re-cut them. I'm glad I figured this out now, rather than after putting the whole thing together and finding that It was crazy unsymmetrical. a8, Looks Great! Good job resisting the temptation to bring the back down to the top of the tailgate. Have you considered just making it to where you crawl in, and just lift it up, to make it "Pop". I mean, for all the time, money & effort you'll put into cranks, guides & pulleys & such with the risk that it may take 2 or more tries to make it work, and the system will take up valuable space. You could just make it where you lift it manually on 1 side, then prop it up or fasten it in place, then go lift the other side. That way you're only lifting half the weight at a time while the other side remains attached and controlled. There may be a way to do it where you just stand on the outside, beside the truck, and lift too. You'd just want to be sure to engineer it such that it has the clearances to "Unpack", but I'm sure you'd account for that. I was considering doing something very similar a few months back and that's what I was going to do, and mine was going to weigh more. 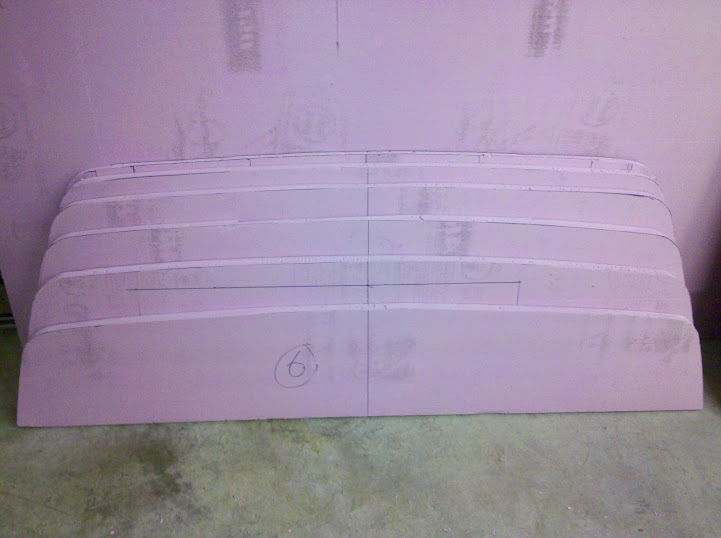 Your light construction method using fiberglass should make it a cinch. Something to think about anyhow. I agree . This finished shell could conceivably come in at less than 1 lb. per sq. ft., so it may not need much muscle to lift.